This July Fourth week, see what’s cooking all the way from sea to shining sea. 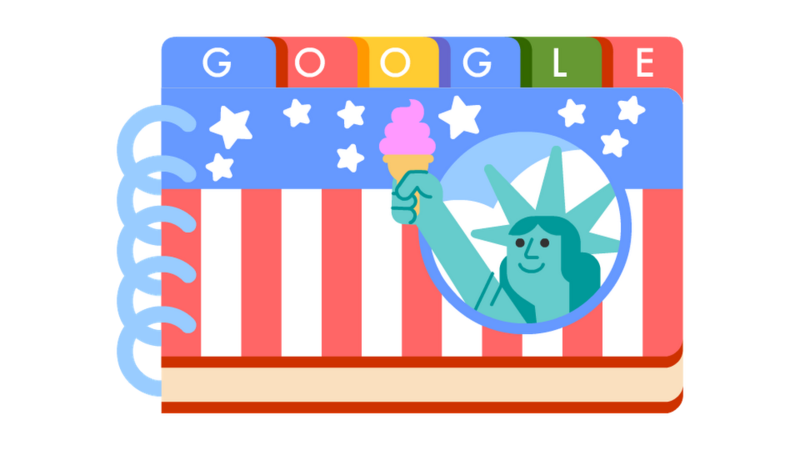 To celebrate the United States’ birthday—and one of the most scrumptious holidays of the summer—today’s Doodle shares top searched recipes in each U.S. state and territory. The results are as American as apple pie…and gumbo, goulash and spaghetti squash. Click through the interactive map to find what recipes people are searching for based on Google Trends data, fun facts about the delectable dishes and a whole lot of inspiration for your upcoming Fourth of July menus. The fun doesn’t have to stop at food—check out Google Trends data to see what else people are searching for around Independence Day. Let the culinary fireworks begin!